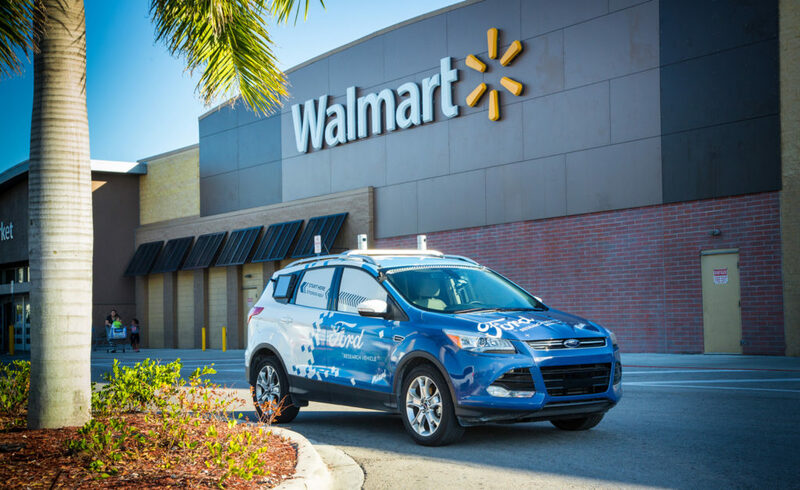 Ford has announced that it is to work with grocery giant Walmart to pilot a self-driving delivery service in Miami-Dade County. “Like Ford, Walmart believes that self-driving vehicles have an important role to play in the future of delivery, and that true success comes from first learning how individuals want to use them in their daily lives. Together, we’ll be using research vehicles, designed to simulate an autonomous experience, to gather crucial data about consumer preferences and learn the best way we can conveniently connect people with the goods they need,” said Brian Wolf, director of business development at Ford Autonomous Vehicles. The trial will also partner with delivery service Postmates whereby trained shoppers would fulfil online orders and load them onto a variety of self-driving vehicle sizes depending on the order, and the car would autonomously drive to customer addresses. “Over the next couple of months, we’ll be working closely with Walmart to understand its operations, identify what goods we can feasibly transport, and pinpoint any issues that may need to be addressed to successfully deliver orders via self-driving vehicles,” said Wolf. Currently, the car company is also working with a number of other national companies to understand how self-driving vehicles can improve goods delivery, including goods such as tacos, floral arrangements, and dry cleaning.